Dustin Davis just expanded his duties to become Head of Comedy Development and Current Programming for the platform. 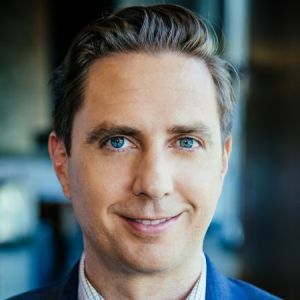 He joined YouTube Red as Head of Current Series a year ago from ABC Network where he oversaw shows such as Black-ish, Happy Endings and Last Man Standing. As YouTube broadens its content offerings, appealing to a wider audience, Davis is working to bring more traditional talent to the service, overseeing Rawson Thurber's Ryan Hansen Solves Crimes on Television*, Rob Huebel's Do You Want to See A Dead Body?, and the recently announcedCobra Kai starring Ralph Macchio and William Zabka from Jon Hurwitz, Hayden Schlossberg and Josh Heald.